Dan is a retired Sergeant with 28 years of law enforcement experience. He has been retained by his former agency as the Range Master to oversee the firearms and Taser programs. He is a former Marine Non-Commissioned Officer, where he served as a Rifleman, Scout/Sniper and Marksmanship Instructor. Dan also served in the Persian Gulf, during the Iran/Iraq War on the USS Okinawa and Mobile Sea Base Hercules in support of Operations Earnest Will and Prime Chance. Prior assignments/duties include: Training Coordinator, Patrol Supervisor, Special Operations Unit, Motor Officer, Range-Master and Narcotics & Surveillance Bureau. Dan was also the former Senior Team Leader for the Western Wayne Special Operations Team with over 18 years of SWAT experience as both a Sniper and Entry Team Leader. He is the former Operations Officer of the Western Wayne County Mobil Field Force Team and was a member of his Department’s Color/Honor Guard for over 25 years. Dan holds a Bachelor of Science Degree from Madonna University in Criminal Justice. Ron is a Captain with over 31 years of law enforcement experience. He is currently assigned as the Investigative Division Commander. Prior assignments/duties include: Support Services Commander, Patrol Commander, Special Operations Unit, Narcotics & Surveillance. Ron is currently the Commander of the Western Wayne Special Operations Team with over 29 years of SWAT experience. Ron has led/participated in over 800 raids/building entries. Ron is also the former Commander of the Western Wayne Mobile Field Force Team. Ron holds a Master’s Degree in Business Administration from Madonna University and is also a graduate of the FBI National Academy #237. Ron is also an adjunct professor at Madonna University. Bob is a Sergeant with 29 years of law enforcement experience. He is currently assigned to the Special Operations Unit in-charge of criminal surveillance team. He is a former Marine Sergeant where he served as a Rifleman, Combat Skills Instructor and served in Desert Storm. Prior assignments/duties include: Patrol Supervisor, Detective Bureau, Intelligence Bureau (Criminal Surveillance and Fugitive Apprehension), FTO and fifteen years of SWAT experience on the Entry Team. Bob has also been a member of his Department’s Color/Honor-Guard Team for 18 years. Bob is in the process of obtaining his Bachelor’s Degree in Criminal Justice from Madonna University. Senior Patrolman with 27 years of law enforcement experience. He is currently assigned as the canine unit working the overlap night shift. Prior assignments/duties: Uniform Patrol, Special Investigations Unit – Narcotics and surveillance. Six years of undercover work- including three years assigned to the Michigan State Police. Grant is currently the lead firearms instructor of his agency and the head canine trainer with 16 years experience as a canine handler. Instructor certifications: Firearms- Pistol, revolver, shotgun & rifle. Defensive tactics, including impact weapons & spontaneous knife defense, simulation/reality based training instructor, Canine trauma instructor/responder, Master Trainer with the National Association of Professional Canine Handlers/certified as a Federal Canine handler/instructor. Eric is a Sergeant with over 20 years law enforcement experience. He is currently assigned to patrol, working the day shift. Prior assignments/duties include: Patrol, Field Training Officer, Traffic Unit, and Evidence Technician. He is currently the Sniper Team Leader for Western Wayne County Special Operations Team with over 18 years of SWAT experience. Eric is also the supervisor in charge of his departments Search Warrant Team. Eric is a graduate of Michigan State University’s School of Staff and Command. He holds instructor certifications in the following areas: SWAT tactics, Patrol Response to Active Shooters, Patrol Rifle, Firearms, Police Motorcycle Instructor and is also one of the lead instructors for his agencies Rapid Response Unit. Eric is a Colt and Glock certified armorer. Mark is a Lieutenant with 21 years of law enforcement experience. He is currently assigned as a shift Lieutenant in charge of night shift patrol operations. Prior assignments/duties include: Patrol Sergeant & Special Investigations Sergeant. Mark is currently assigned as the Assistant Team Leader of the Western Wayne Special Operations Team with over past 16 years of SWAT experience. Mark has led/participated in over 350 raids/building entries. He is also in charge of training for his department and holds armorer certificates for Glock Pistols and AR-15/M4 platform rifles. Mark holds an Associate’s Degree in Criminal Justice and is also a graduate of the Northwestern School of Police Staff and Command. He holds instructor certificates in the following areas: Pistol, Rifle, Shotgun, Less-Lethal munitions, Diversionary Devices, SWAT Tactics, Low Light Tactics and Defensive Tactics. Brian is a Sergeant with 21 years of law enforcement experience. He is currently assigned to the Patrol Division as an Afternoon Supervisor. Prior assignments/duties include: Brian is currently a SWAT Operator on the Western Wayne Special Operations Team with over 15 years of SWAT experience and has participated in over 500 raids/building entries, Narcotics & Surveillance Bureau and Western Wayne County Mobile Field Force Team. Brian holds armorer certificates for Glock Pistols, Colt rifles, Sig Sauer Pistol and Rifles. Brian is also a member of his Departments Honor Guard Team. Brian holds an Associate’s Degree in Criminal Justice. He holds instructor certifications in the following areas: Pistol, Taser, Low Light Tactics and Defensive Tactics. Brian is a Firefighter/Paramedic with over 20 years of experience in Fire/EMS. He is also a licensed EMS Instructor/Coordinator for the State of Michigan, teaching for a local college. Brian began his career in the fire service in 1994, becoming an EMT in 1995 and a Paramedic in 1998. He has been working for a large city outside of Detroit since 1999 and has reached the rank of Lieutenant. He received his Instructor/Coordinator license in 2001. Security Unit 309. In 2012, Brian returned from a successful overseas deployment to the Middle East in support of Operation Enduring Freedom. During that deployment he maintained and cared for the medical health and well-being of his unit. In addition to his duties, Brian was the Tactical Corpsman assigned to a combined Navy/Coast Guard Vessel Boarding Team. While in the military, Brian attended Deployment Medicine International’s OEMSSOF (Operational Emergency Medical Skills – SOF) live tissue course. During this 2 week training Brian mastered his deployment medical skills on live tissue in an austere environment involving tactical/combat situations. Brian is a certified instructor for all ASHI CPR, First Aid, Wilderness Medicine programs, and NAEMT PHTLS/TCCC programs. His I/C license enables him to teach State of Michigan MFR, EMT-B, EMT-P, I/C classes and continuing education credits. He also holds certifications in TCCC, OEMS-SOF, PHTLS, ACLS, and PALS. Department as a Firefighter & Paramedic. Scott holds two Associate’s Degree from Schoolcraft College in both Fire Science & Business, is a State of Michigan Fire 1 Instructor, certified in Advanced Cardiac Life Support and Pediatric Advanced Life Support. Scott also works for Schoolcraft College Fire Technologies Department as a practical instructor, physical training instructor & proctor for the IAFF Candidate Physical Ability Test (CPAT). Fred is a Patrol Officer with 25 years of law enforcement experience, currently assigned to road patrol operations. Prior assignments/duties include: Training Unit, FTO, Evidence Technician, Accident Investigation Team, WWN. Fred is currently an instructor with the Wayne County Regional Police Academy, where he teaches the Police recruits in Pistol, Rifle and Shotgun. Fred also spent nearly six years assigned to the Michigan State Police, Western Wayne Narcotics Team where he led/participated in over 500 search warrants/raids. Fred holds an Associate’s Degree in Criminal Justice. Fred holds the following instructor certificates: Patrol Rifle both basic and advanced, Pistol, Taser, Simmunitions, Low Light Tactics and Chemical Sprays. Fred also holds a number of armorer certifications. Jeremy is a Firefighter/Paramedic with 20 years of experience in Fire/EMS. Jeremy began his career in the fire service in 1994 when he enlisted in the Marine Corps, with a primary MOS of Crash Fire Rescue. Jeremy served 1 year in Japan with deployments to Thailand and Korea. He was honorably discharged at the rank of Sergeant in 1998. Jeremy currently works full time for the City of Dearborn as a Firefighter III/Paramedic. He has been employed with them for 17 yrs. In addition to his employment with the Fire Dept, Jeremy also has 10 years of Emergency Room experience as a Paramedic. Jeremy holds an Associate’s Degree in Fire Science from Schoolcraft College and is currently attending Sienna Heights University pursuing a B.A.S. in Public Safety. He is a State of Michigan EMS Instructor/Coordinator, State of Michigan Firefighter Instructor 1 and is certified in Advanced Cardiac Life Support and Pediatric Advanced Life Support. Jeremy is also a certified Active Attack Integrated Response (AAIR) Instructor as well as Advanced Law Enforcement Rapid Response Team (ALERRT) Instructor. Alex is a Sergeant with 15 years of law enforcement experience. He is currently assigned to the Patrol Division as night shift supervisor. Alex also served 4.5 years in the United States Air Force as a military policeman. He was deployed/stationed overseas for Operating Enduring Freedom after the 9-11 attacks. Prior assignments/duties include: Current SWAT Operator on the Western Wayne Special Operation Team with over 11 years of SWAT experience. Alex was also a member of his department’s Special Investigations Unit where he assisted in planning/executing over 350 raids/building entries. He is also a member of his department’s training unit and is an instructor with the Wayne County Regional Police Academy where he teaches new recruits pistol, rifle, shotgun, and active shooter classes. Alex holds a Bachelor’s Degree in Criminal Justice from Madonna University and is also a graduate of the Eastern University School of Police Staff and Command. He holds instructor certificates in the following areas: Pistol, Rifle, OC Spray, Less-Lethal Munitions and Diversionary Devices. Jeff is a retired sergeant with over 25 years of law enforcement experience. He is a former Marine and served as an Amtrak Specialist, having spent much of his Service abroad. Prior assignments/duties include: Patrol Supervisor, Special Operations Unit, and SRO. 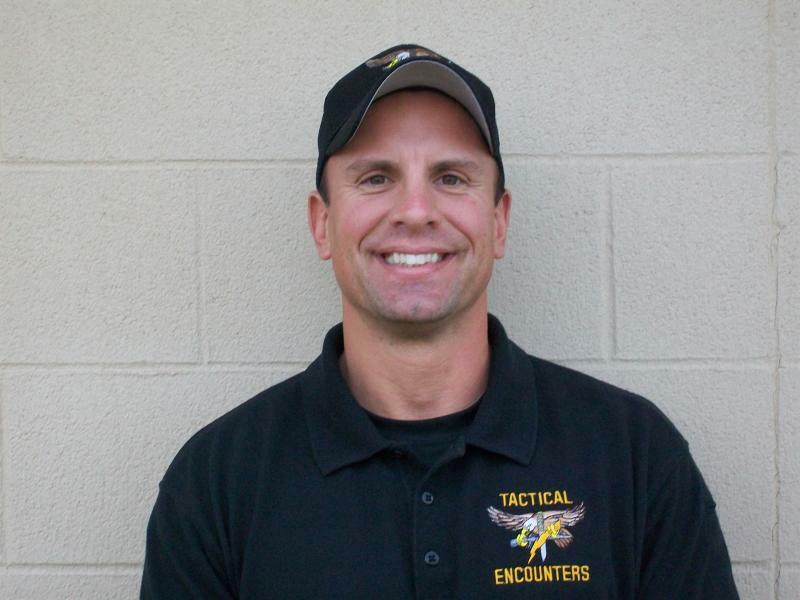 Jeff is a former member of the Western Wayne County Special Operations Team with over 16 years of tactical experience. He is also a former member of the Western Wayne Mobile Field Force Team where he served as a Platoon Leader. Jeff also served over 20 years as a member of his agencies Honor Guard. Jeff has a Bachelor’s Degree in Criminal Justice from Madonna University. 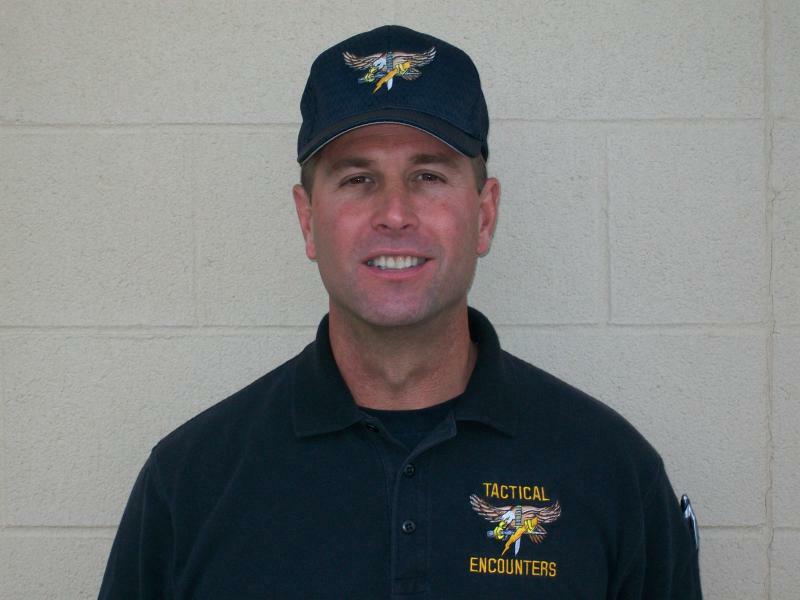 He holds Instructor certifications in the following areas: Firearms, Taser, Less Lethal, Low-light Tactics, Active Shooter, Repel Master, Rifle/MP5/Benelli, Strategies and Tactics on Patrol Stops and Confrontational Simulation/Reality Based Training. Mike is a retired Police Officer with over 27 years of Law Enforcement experience. He is currently employed by several businesses and institutions as an instructor on firearms and other related topics. Prior assignments and duties include: Patrol, Traffic Unit, Evidence Tech Unit and Use of Force Instructor. Mike was also a member of the Western Wayne Special Operations Team as an Operator and Precision Riflemen. Instructor certifications include: Handgun, Shotgun, Pressure Point Control Techniques, Precision Rifle, Patrol Rifle, Chemical Agents and Reality-Based Force-on-Force Instructor. Brandon McDaniel is a third-degree black belt in Gracie Jiu Jitsu and has been practicing the martial arts for more than 20 years. Aside from being versed in Gracie Jiu Jitsu, he also trains in Muay-Thai kickboxing. Brandon is the head instructors at Warrior Way Martial Arts in Walled Lake, MI. Through his instruction he has been a regular trainer to more than a hundred law enforcement officers at both the local and federal level from various departments at Warrior Way Martial Arts. He has also been an instructor to additional officers through the WW LEDTS program as well as going on site to Detroit Police Academy to provide instruction. In doing so he has had the chance to compile real life data from common scenarios that officers are encounter in their daily work. In doing so he has had the opportunity to help officers learn basic techniques and principals that can decrease the probability of injury to a suspect and increase officer safety. He has degree in secondary education from Eastern Michigan University with his area of study being social studies and history. He spent 8 years as a teacher before moving on to teaching martial arts full time.